The National Anthem, called The Soldier’s Song was written in 1907 by Peadar Kearney, an uncle of Brendan Behan. Peadar Kearney together with Patrick Heeny set it to music. 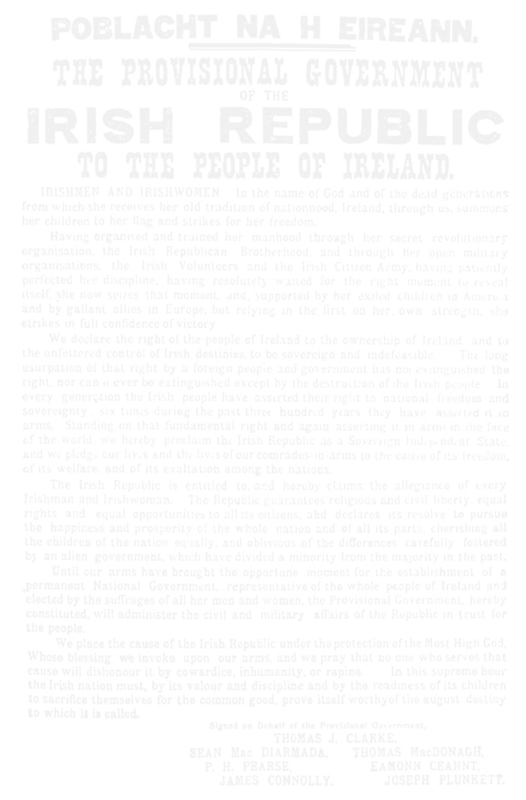 It was first published in the newspaper, Irish Freedom in 1912, but was not widely known until it was sung at the GPO during the Easter Rising of 1916. The chorus was formally adopted as the National Anthem in 1926. Ba bhuachach ár sinsir romhainn.